This vintage style made in USA girls dress features fun nautical stripes and rolled up sleeves. 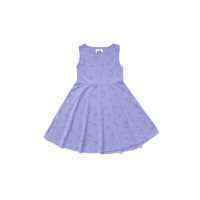 Blu Pony Vintage made this soft antique style dress for girls, referencing original antique garments while designing it. 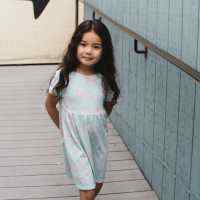 Blu Pony Vintage made this cute and classic childrens dress in chic Los Angeles, so you know it is sure to please any stylish girl. This antique style girls dress features old fashioned styling. 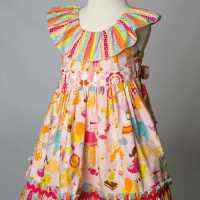 Blu Pony Vintage made this vintage style girls dress, carefully referencing pretty antique clothing during the design. 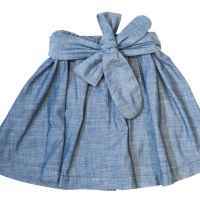 This classic Blu Pony Vintage childrens dress is made in the USA in stylish Los Angeles and is inspired by clothes from the 1920s to 1940s. 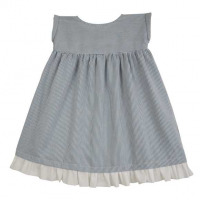 This timeless old fashioned dress for children features a classic wide cut body, and pretty blue and white nautical stripes in high quality 100 percent cotton fabric in a nice weight. 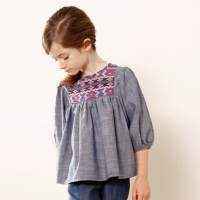 This vintage style kids dress features a cute and comfortable shape. 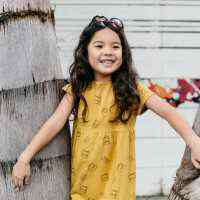 This vintage style striped girls dress makes a cute dress to wear all spring and summer and is also a perfect back-to-school dress. This pretty old fashioned childrens dress makes a unique and pretty Easter dress. 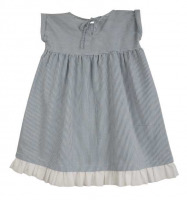 This striped dress is also an ideal dress for the birthday girl to wear. This blue and white striped classic made in America kids dress looks cute with bare legs. 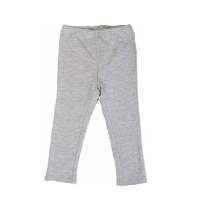 She can also throw leggings on with this dress, for a super comfortable outfit perfect for a lot of running and playing.